Today in Masonic History William Woodward Brandon is born in 1868. William Woodward Brandon was an American politician. Brandon was born on June 5th, 1868 in Talladega, Alabama. He attended Cedar Bluff Institute and Tuscaloosa High School. After high school he joined the National Guard, continuing his service for a number of years. In 1891 and 1892 he studied law at the University of Alabama. While he was still studying law he was elected City Clerk of Tuscaloosa and was appointed Justice of the Peace. In 1892 he also established a legal practice in Tuscaloosa. In 1896, Brandon was elected to the Alabama House of Representatives serving there until 1901. In 1898, Brandon led his National Guard unit as a major during the Spanish-American War. The following year he was appointed Adjutant General of the Alabama National Guard by the Governor Samford of Alabama and was re-appointed by Samford's successor. 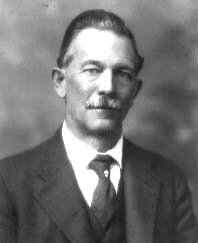 In 1906, Brandon was elected as the State Auditor. From 1911 until 1923, he served as the Probate Judge of Tuscaloosa County. During the same time he was serving as Probate Judge he was an unsuccessful candidate for Governor. He ran again in 1922, this time successfully. He ran on a platform calling for economy in government and no new taxes. During his term he continued the programs of his predecessor including road construction and improvement of Mobile's dock facilities. He also strengthened child labor laws and created the Alabama Forestry Commission. Brandon also has the distinction of leaving the state of Alabama for 21 days during his term which made his Lieutenant Governor temporary Governor of the state for one day. The reason Brandon was out of the state for more than 20 days was to attend the 1924 Democratic National Convention. The convention was the longest continually running convention of history due to a deadlock in electing a Presidential Candidate with 103 ballots. It was the first convention that was carried on the radio. Due to the repeated balloting, the fact that Brandon was the one who spoke for the Alabama delegation and the fact that Alabama was first, Brandon's booming southern drawl became the symbol of the convention's deadlock for a national audience. After leaving the Governors Office, Brandon returned to being a Probate Judge. Brandon passed away on December 7th, 1934. Brandon was a member of Rising Virtue Lodge No. 4 in Tuscaloosa, Alabama.